“Assembly process for the previous generations of smartphones have not changed much, though new features like waterproof and wireless charging now require some different testing, and the waterproofing will alter the assembly process a bit,” Chief Executive Robert Hwang told reporters after the company’s annual shareholders’ meeting on Wednesday. Hwang said he expects his company to ship more smartphones in 2017 than 2016, without providing a number. The executive said that labor costs would continue to rise in China this year, but the company will try to cut costs by increasing the use of automation. The iPhone 8 wouldn’t be the first smartphone with wireless charging and water resistance. Several of Samsung’s flagship phones include the features, such as the Samsung Galaxy S7 and S8. The iPhone 8 will run on iOS 11, Apple’s latest mobile operating system. It include an edge-to-edge display and no home button. It is expected to come in two sizes, with 4.7-inch and 5.5-inch versions. According to report, The option to produce a large number of iPhones in India will depend on Apple’s relationship with the Indian government going forward. A report earlier this year said Apple’s next iPhone models will feature improved IP68-rated water resistance. 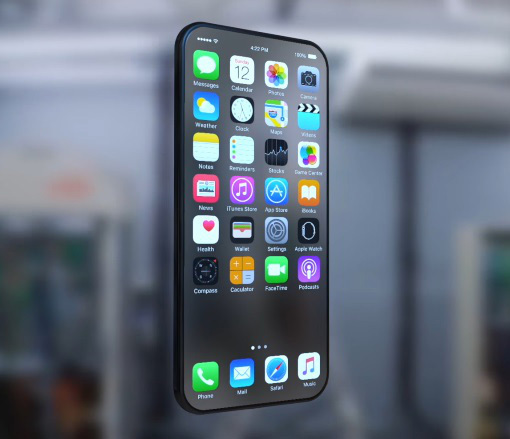 In the IP68 rating, the “6” means the next iPhone would remain effectively dustproof, with “no ingress of dust” and “complete protection against contact,” while the “8” means the device will be even more water resistant. Samsung’s Galaxy S8, which already has IP68-rated water resistance, is able to withstand 1.5 meters of water for up to 30 minutes. Next Article How to Share Wi-Fi Password in iOS 11 on iPhone or iPad?